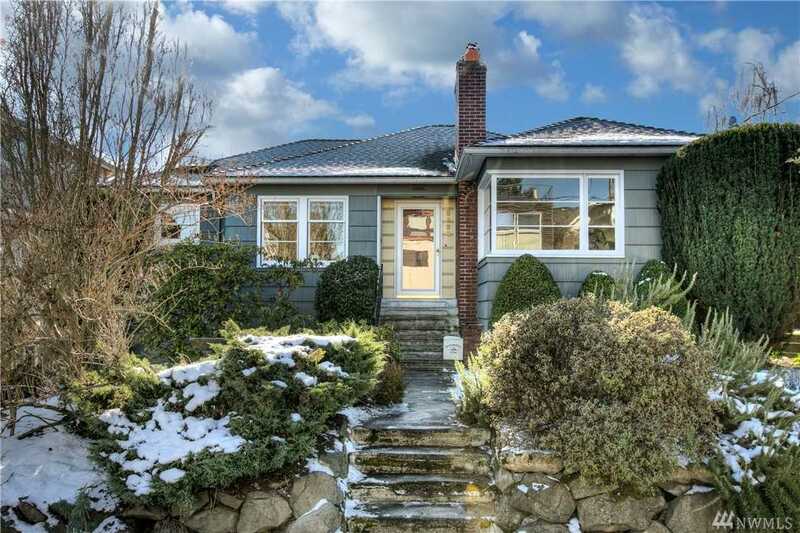 Stunning mid-century charmer in the heart of Ballard! Lovingly maintained featuring a freshly painted interior, sunny living room with gas fireplace and hardwoods on most of main floor. Updated bathroom, 2 huge bedrooms on main floor, one with sliders to lovely deck overlooking private backyard. Retro-chic family room downstairs with paneling, gas fireplace and swing out bar- party central! Solar panels make this home efficient and affordable. Walk to Sunday Market, Locks, restaurants and shops! Lot Size: 0.11 Acres / 4850 Sq. Ft. Directions:From 15th Ave NW, head West on NW 59th St, home will be on the Left. SchoolsClick map icons below to view information for schools near 2829 NW 59th St Seattle, WA 98107.